(Almond) milk on cereal for breakfast in the morning. A (bean) burger for lunch. A stirfry on (brown) rice for dinner. Topped off with some (fair-trade) dark chocolate and a glass of (sulphite-free) wine. Welcome to the new groove of food. Thanks to an explosion of next-generation producers, a renewed focus on food education and a deeper awareness about food in general, the creation of an entirely new food ecosystem has begun. And this isn’t some hippie-driven hullabaloo, it’s a real-food revolution, and it goes beyond organic. While there are no shortage of headlines in the news to show why certain parts of our food ecosystem need to be radically reinvented (ie. Ikea horse meatballs), there are deeper reasons as to why it’s necessary and why it is gaining traction so quickly. It’s based on a need for diversity. Humans thrive in diverse environments. Regardless of the specific context, it’s a law that can be applied almost universally to every facet of life. We need to have choices (not too many), and to be able to have a set of choices requires diversity. Strip away diversity and you very quickly start running into problems. And that’s where we are at today. We have a food system that is dominated by multi-nationals and agricultural giants (Big Ag). These major food companies have a bigger R&D budget for frozen pizzas than most market players would make in an entire year. 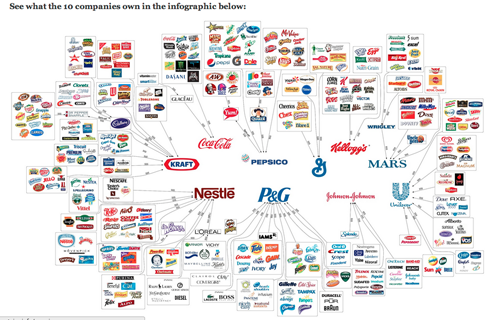 As a result, there are ten multinationals who control the entire top-tier of consumer brands. Do these multinationals care about diversity and a well-rounded food ecosystem? They care about sales and profits. After all, it’s not primarily for our benefit that they insert polyphenols and Omega 3’s into their products. And the sugar-free, fat-free and calorie-free offerings on the shelves weren’t developed to help people eat better. It’s all part of a diversion to make people feel like whatever they’re eating is great no matter what it is they are eating(!). JIF, owned by J.M. 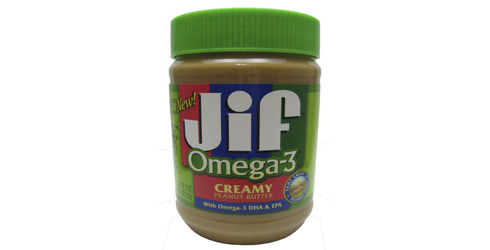 Smucker, added anchovy and sardine oil to their PB so that you can get more Omega 3-s! Ironically, Smucker was part of an effort lead by Monsanto to crush Prop 37 in the US on GMO-food labelling. And so instead of having a diverse food system where farmers flourish and consumers chow down on freshly-picked offerings, we live in a world where food is day-traded on world markets and sold in major supermarkets at razor-thin margins. Producers get squeezed, fresh products are sold at high premiums and Big Ag drives the agenda. But all this is changing, and fast. The new groove of food has arrived. What started off as a small ‘organic’ movement a decade ago has now become a massive real-food revolution hitting all levels of the food chain. Farmers implementing new (non-GMO) cultivation methods are experiencing amazing yields. Brands who may have begun their ascent into food markets as organic are starting to become household names. Mainstream supermarkets are expanding their natural sections at a rapid pace. And big moves are being made. Last month, Whole Foods announced that they would require GMO-labeling from all of their suppliers within five years. What started off as a non-profit project (the non-GMO project) will now become a business requirement for any company that wants to list their products in North America’s leading natural and organic food retailer. Did they use a lot of pesticides? Where was it grown? Is it GMO? Are the ingredients real? Soon enough, these won’t be questions that circulate through peoples’ minds every time they want to purchase food. All information will be right on the label, and anybody selling food that isn’t organic, non-GMO and real-food certified will be shipping their products to Mars. And those who get this will reap the rewards for decades to come. These are the Market Beacons who, in our opinion, are moving the dial ahead at the top level. But every country, city and community has their own set trailblazers who are setting the new standard. Food has so much cultural and social significance that what’s considered a seismic shift in one region may not even register in another. Of course there is a lot of work that needs to be done to increase real-food production, educate consumers and develop new products. But it’s happening, quickly. So throw on a pot of (shade-grown) coffee and grab a few (whole wheat) cookies, because the new groove of food is rolling into a town near you.